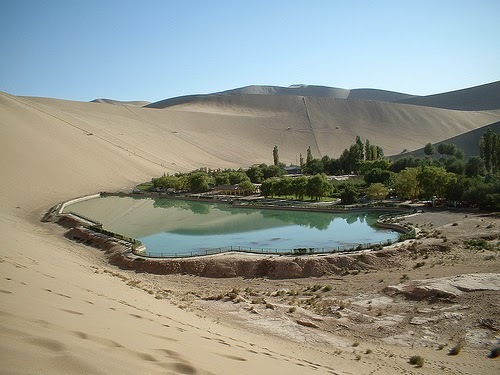 About three years ago, I shared a post about a desert oasis in the sizzling hot Gobi Desert of China. Many of my readers doubted the authenticity of the existence of a lake right in the centre of one of the hottest deserts of the world where water evaporates in seconds. But it was right there – an oasis with a crescent shaped lake. But as if that was just the beginning. There is yet a similar lakes right in the desert of Peru at Huacachina which has recently been an attractive tourist and travel destination from people around the world. 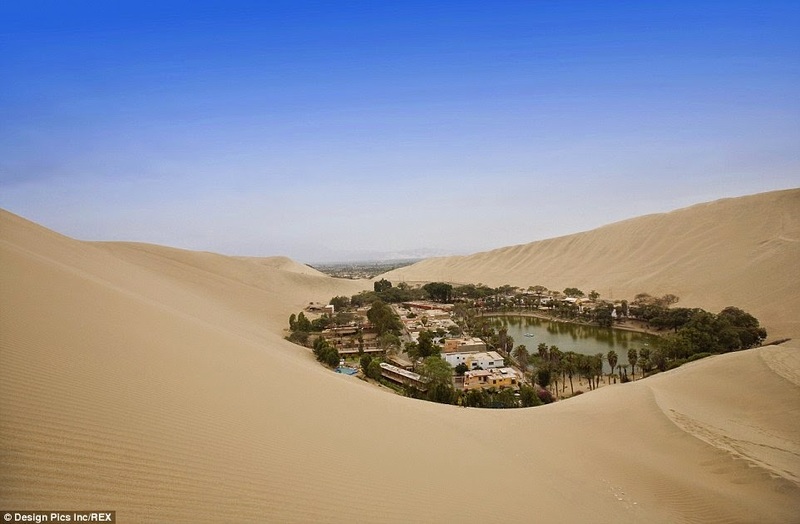 The town of Huacachina is located in one of the driest place on the earth with only 96 residents. 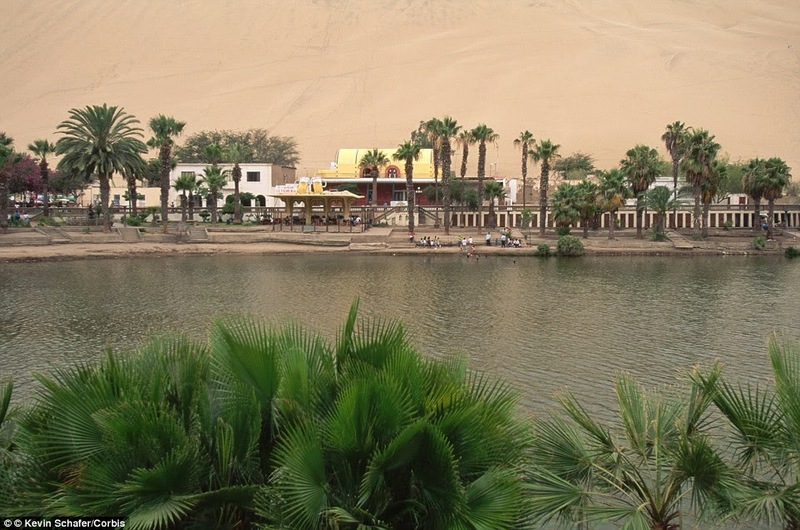 But it has hotels enough to accommodate those daring tourists who would not only like to enjoy a boat ride or a swim in the lake but also sandboard on the slops of the high dunes surrounding the oasis.